Welcome to breathtaking Utah! AutoGuide was invited out to evaluate the brand-new 2019 Honda Passport SUV both on-road, and, if you can believe it, extensively off-road in the dirt. 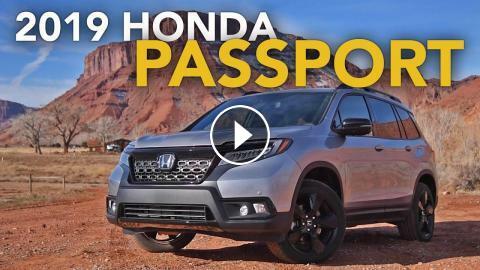 This new Passport slots into the narrow gap between Honda’s CR-V and Pilot. But I’ve got to ask, do they really need another crossover vehicle? They’re positioning it as an alternative to the Nissan Murano and Ford Edge. But they also say it competes with the Jeep Grand Cherokee and perhaps even Toyota’s 4Runner. Yes, off-roading is a focus of this vehicle.